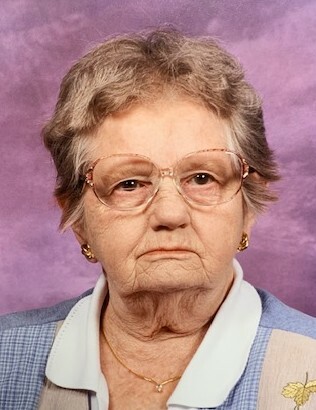 Obituary for Dorothy Mary Wheeler | Fletcher Funeral & Cremation Services, P.A. Dorothy Mary Wheeler, 91, of Westminster, died Saturday, February 2, 2019, at Brightview Westminster Ridge. Born September 25, 1927 in Baltimore, she was the daughter of the late Robert D. Barrett and Blanche O. (Arrington) Barrett. She was the wife of the late Paul Melvin Wheeler who predeceased her on February 3, 1982. She and her husband owned Wheeler's Floor Fashions in Westminster. She was a member of Deer Park United Methodist Church and enjoyed puzzles, mahjongg, and family gatherings. She also was a volunteer at Carroll Hospital Gift Center and was a leader in The Phoenix Club. She is survived by children Dorothy M. Hill and husband William, Paul M. Wheeler and wife Linda, and James E. Wheeler and wife Debbie, all of Westminster; grandchildren Amber Valenti and husband Frank (Rocky) of Westminster, and Ashley Stevenson and husband Robert of Laytons, Utah; great grandchildren Wesley and Hunter Valenti. She was predeceased by siblings Blanche, Ardee, George, Warren, and Paul Barrett. As per her wishes there will be no viewing. Memorial services will be held on Saturday, February 16, 2019 at 11 a.m. at Deer Park United Methodist Church, 2205 Sykesville Rd., Westminster, MD 21157 with a reception after services. Interment will be private at a later date at Lake View Memorial Park. Memorial contributions may be made to Carroll Hospice, 292 Stoner Ave., Westminster, MD 21157 or the Parkinson's Foundation at https://parkinson.org/.